You’ve done your best to ensure that the nest egg for your golden years is going to last you a lifetime. But still have that tiny nagging doubt: What if I outlive my income? If you are concerned about your income lasting for your whole life, an annuity may help. When you retire, you want to stay retired. You decide to stop working for a reason. This is the time when you finally get to relax, have fun, and do all the things you could never do while you were working. However, if you’re concerned that your retirement fund will run out before you do, annuities are a great way to protect your quality of life for as long as you live. The key is to get the best annuity rates so that you can maximize the payout to you when you retire. If you’re in Chicago and you’re looking for the best annuity rates, you’re not alone in thinking that it’s a confusing and daunting thing to do. Not only are the rates changing all the time, it’s also not easy to find all the information about all the options in one place. Furthermore, the best annuity rates in the business are only available to a select few of the top financial advisors. This is why you need to work with someone who can get you the best annuity rates in Chicago and provide you with thoughtful, appropriate retirement income guidance when you need it. The way annuities work is that they are an insurance product. As with any form of insurance, you’re paying a small sum to mitigate risk. In this case, the risk is, “I could live a lot longer than I expect to, and my money could run out. When that happens, things could get very uncomfortable for me. I don’t ever want that to happen.” So you get an annuity. There are many different types of annuities, and each one comes with its own benefits and drawbacks. Not all annuities will be right for all circumstances. 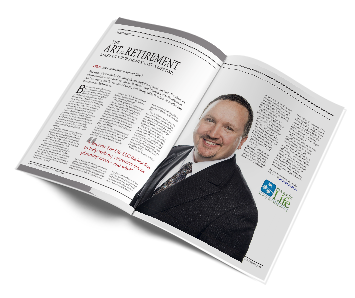 However, when you get the retirement income guidance from Income for Life, you can breathe easier, knowing that you’ve made decisions with your money that will protect you—for life. To find the best annuity rate in Chicago, please contact Income For Life to get started on the path towards wise retirement choices. Schedule a call today!